Home > Latest News > Careers by Diversity Group > Careers for those with disabilities > How important to you is diversity in your workplace? How important to you is diversity in your workplace? It appears from research by Glassdoor, an organisation that tries to understand candidate perceptions of employers and allows you to rate them, that diversity is increasingly important to potential employees who are exploring a move to an organisation. Their research showed that at least 57% of those surveyed thought their boss should be doing more to increase the diversity of their employees. The research has a US bias but perhaps reflects a growing trend across the globe (Glassdoor operates internationally). Read more of the results here. 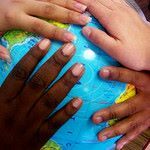 International non-profits should, by their nature, be have of the most diverse workforces around. What’s your view? Has working in an NGO broadened your horizons or narrowed them? Do you feel you are getting the true benefit of different world views on your organisation’s work? Would it make you consider a job change? Has it?! We’d love to know what you think on this important issue. Get tweeting maybe!